We’ve got a special 20% discount on gift cards this season. 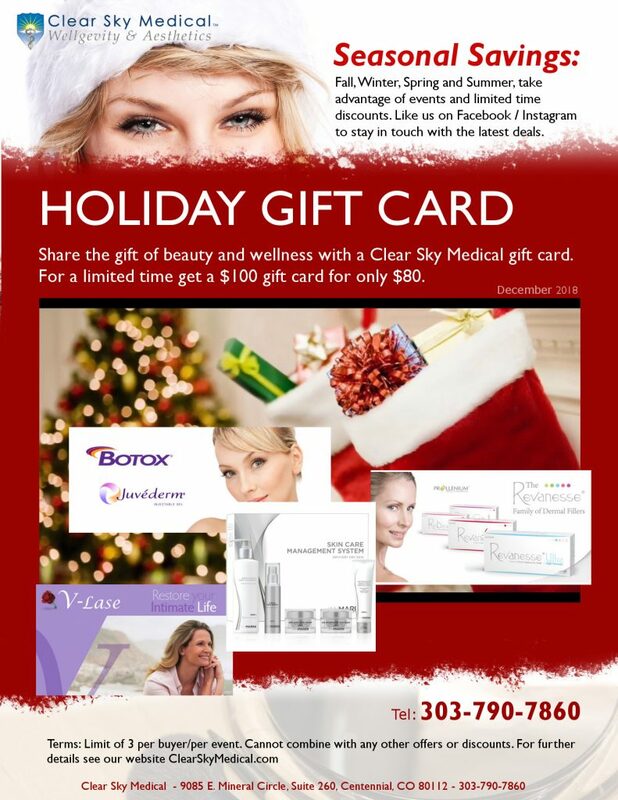 Share the gift of beauty and wellness with a Clear Sky Medical gift card. For a limited time get a $100 gift card for only $80. – Discounted gift cards limit of 3 per buyer. Cannot combine with other discounts. For the rest of terms see our page here.